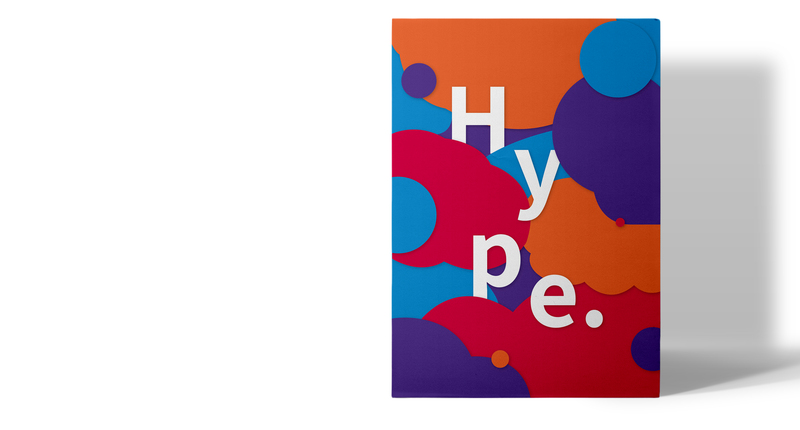 Hype is a voluntarily advertising agency at Jönköping University. 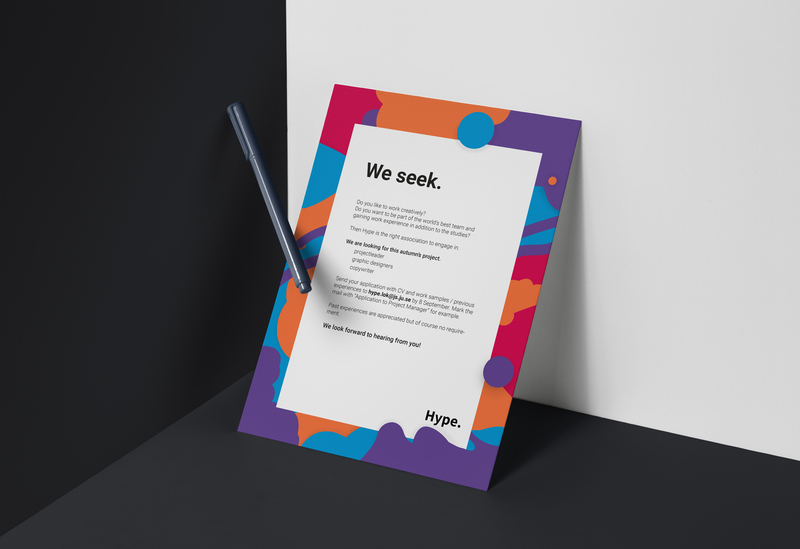 The agency was missing a definite brand identity and seemed to have no visual liveliness that reflects their work. I developed a concept where vibrant but modern colors are used as graphic elements, combined with a professional tone in text and background. This is to emphasize the agency’s creative side. This lift was made to attract more students and new customers. 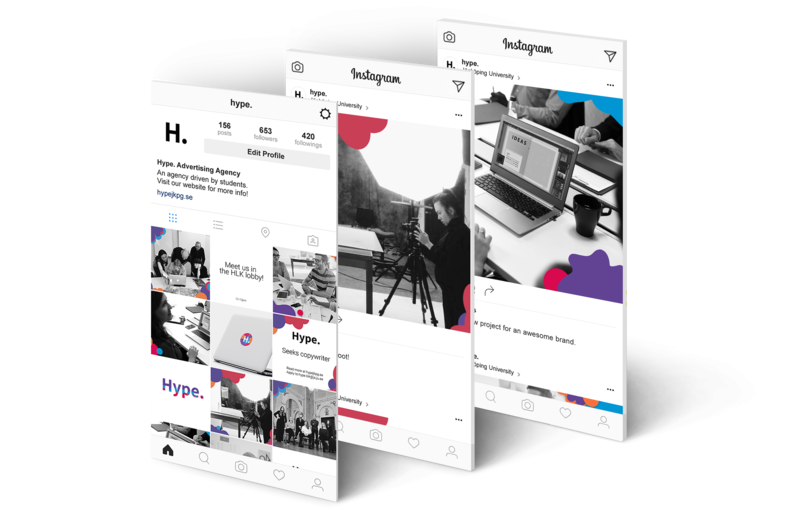 With a changed profile a brand book was created including the changed logotype, font, color, imagery, templates and more.